From Our Hearts is a non-profit organization that sends handmade cards overseas to our troops for them to send home to their loved ones. They accept handmade cards and card fronts. So, for all of you stampers and card makers out there, this is a great way for you donate your card fronts you've received during swaps that you no longer need. Please pass this information on and help this organization grow. Visit their site by clicking the icon above for more information on donating and this wonderful organization. What a great cause! Thanks for sharing this. 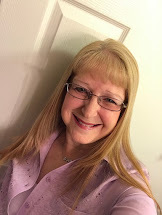 I am stopping by from the bloghop & am a new follower! I hope you'll stop by my blog too - Musings From a Stay At Home Mom ! 'Have a great Monday! What a great cause to feature. Thanks for sharing that. I will have to bookmark this site. I am visiting from the You Like Me Friday blog hop. It is nice to "meet" you. Stop by my blog - Long Wait For Isabella - anytime!